Ever had a craving for fast food from your favorite restaurant but were just too lazy to get up and google their number? 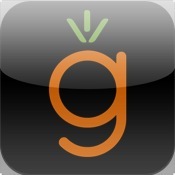 Apparently so have the creators of Gazar (iTunes link), bringing you mobile food delivery ordering to the iPhone. The application is built by ZMS, a company owned and managed by former Vodafone Egypt’s Director Ziad Aly. It’s straight forward, gives you a full menu with pictures and prices, just in case you forget to order a healthy salad to go with you 1,000,000 calorie meal. Now as far as practicality goes, this application does it all, providing you a menu, prices and a means to send your order and of course the service is definitely worth the value paid for the app, which you have Egypt’s ZMS & ME 3al Mobile to thank for making free. So if you’re big on ordering in, and you’re in Cairo, Egypt which is the only city it currently covers, be sure to get yourself a Zinger Supreme from here in the App Store today. Read next: Google has Sleep Pods at their offices. Sleep PODS!